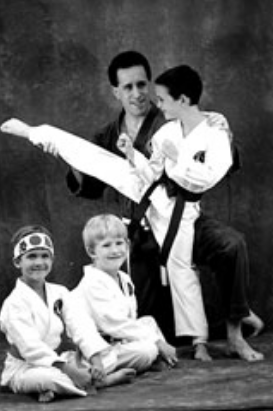 Martial Arts is a Family Affair! 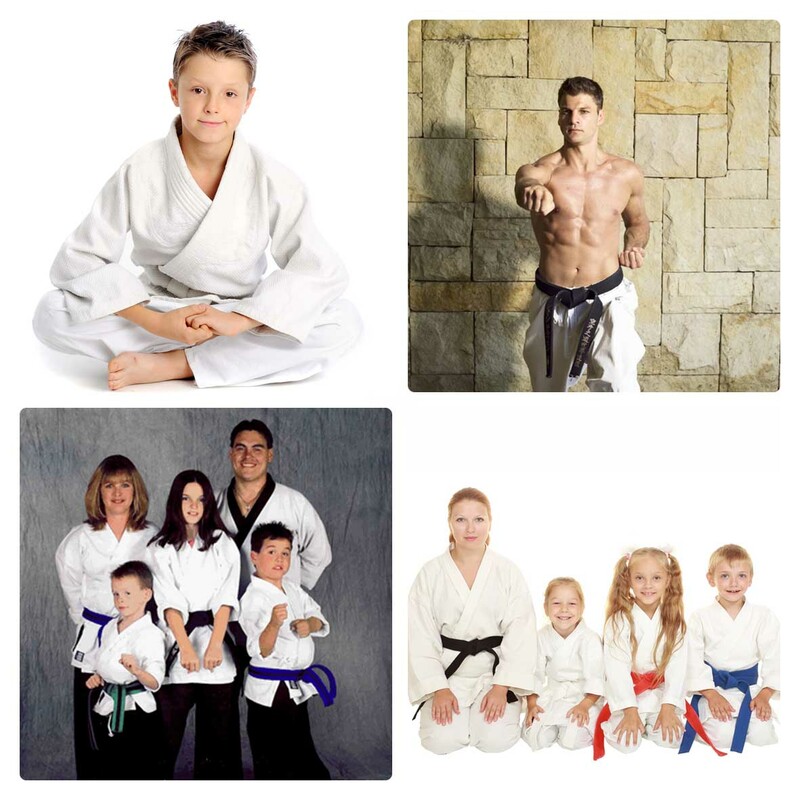 The World Martial Arts Center in Gainesville, FL provides a unique way to bring your family closer together by sharing an exciting hobby with outstanding benefits for everyone. Your children will participate in an all youth program that emphasizes improving mental focus and building self confidence while learning how to respond effectively in challenging circumstances. Parents have their own classes that provide stress reducing workouts and effective self defense skills in a non-competitive, individualized format. Don‘t forget to ask about our Family Friendly Membership Discounts! 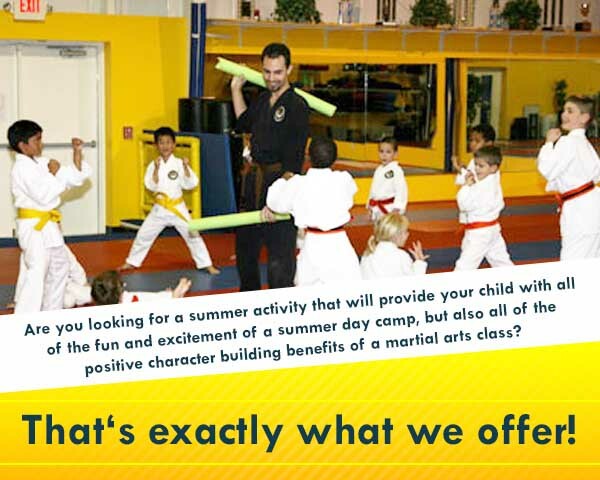 Are you looking for a summer activity that will provide your child with all of the fun and excitement of a summer day camp, but also all of the positive character building benefits of a martial arts class? That‘s exactly what we offer! Camp programs can be arranged by the day, by the week, by the month or for an entire summer. We offer morning sessions (9:00 am – noon), afternoon sessions (noon – 3:00 pm) and day sessions (9:00 am – 3:00 pm). 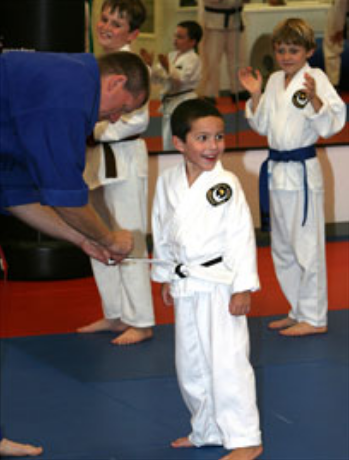 Our professional instructors will guide your child through a fun course of martial arts, instruction, games and activities in our spacious, matted and fully air-conditioned facility. You can register your child for one of the standard camp sessions listed below, or create a completely custom camp schedule that suits your personal summertime needs. Since 1975, we have dedicated ourselves to providing the best possible martial arts experience for each and everyone who entrusts us with their valuable time and effort. It has been our honor to serve the Gainesville community by helping thousands find and reveal their very own version of “greatness” through martial arts excellence. We’ve seen shy toddlers grow up to be community leaders, obese adults turn into karate athletes, aspiring competitors turn into world champions, and everything in between. We’ve seen our program grow and develop over more than 30 years in a continuing effort to meet and exceed the hopes and expectations of our students. And we’ve only just begun! The remarkable success of our children’s program is based on teaching a fundamental philosophy of accountability. Reward and recognition are earned based on performance rather than awarded based on attendance. Every child makes the choice to progress by embracing a success formula that includes listening, concentrating, trying your hardest and never giving up. We staff our classes with a low student/instructor ratio so that each child is provided with personalized attention in every class. This arms them with the information and instruction necessary to take control of their own advancement. Their natural progress is then rewarded with belt stripes and rank promotion which leads to a genuine sense of self confidence and belief in their ability to achieve. Improved mental focus, self discipline, a positive attitude, and courteous demeanor are by-products of their achievement. 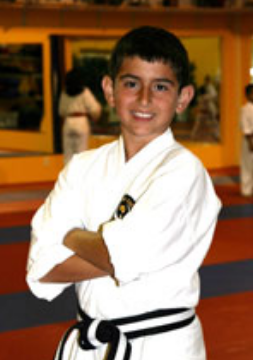 At World Martial Arts Center, programs for children feature a “total learning experience” designed to develop extraordinary skills and the qualities of character that will help bring them success throughout their lives. The foundation of our adult program rests firmly on a commitment to credible technique and respect for each individual. Whether you are a stay-at-home mom or a world class athlete, whether you want to attend one class a week “just to get out of the house” or are committing to a daily training regimen in preparation for the police academy, whether your goal is to compete in UFC or to enjoy a unique hobby with your family, our commitment is to provide you with guidance that specifically addresses your particular motivation and accomplishes your personal goals. Art, sport, self-defense, fitness (or the extraordinary non-physical benefits!) can all be achieved in a serious but friendly class atmosphere where there are “no opponents”, only “partners.” While you are in the dojo you’ll enjoy an environment where mutual respect and camaraderie are the standard, and many have made friendships that last a lifetime. If you are ready for a new challenge, we are ready to lead you on a path of martial arts excellence. 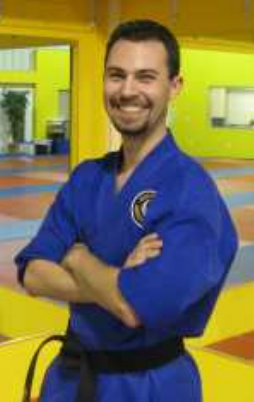 Cory Schafer earned his black belt in Wado-Ryu Karate in 1982. While successfully establishing himself as a martial arts competitor and kickboxing trainer his interests moved towards officiating. During his tenure as the chief official and arbitrator for the FAME (Florida Affiliated Martial Arts Events) tournament circuit, he began working his way through the certification levels as a kickboxing official. By the mid 1980’s Cory had earned his “A” level judging certification, necessary to officiate professional world title events. Moving on to serve as an ISKA (International Sport Karate and Kickboxing Association) Event Representative at both the national and international levels he also earned his certification as a kickboxing referee. With growing experience and a solid reputation his opportunities grew in conjunction with the expansion of the sport itself. 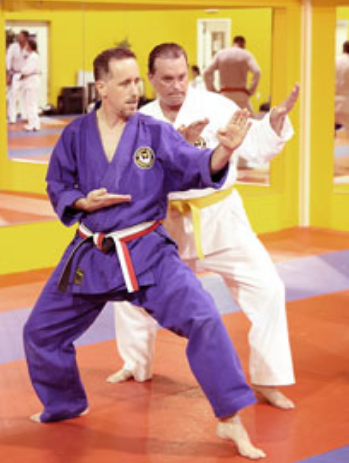 While further developing his role as a kickboxing official, Schafer continued to teach martial arts regularly at his professional studio, and expand his involvement in sport karate as director of the US OPEN World Martial Arts Championships, largely recognized as one of the world’s most prestigious martial arts competitions. After gaining years of experience in all aspects of officiating, Schafer was asked to become the chairman of the ISKA Official’s Certification program. He instituted a new certification protocols and led seminars and clinics often coordinated with some of the world’s highest profile events. Since 1990, Schafer has presided over world title contests held throughout North and South America, Europe, Australia, Asia and Africa. In early 1997 he was offered, and accepted the position as President of the ISKA. Since taking office he has combined his passion, business acumen and tireless effort to help fairly and safely advance combat sports and competitive martial arts. In 1999, when the prestigious K-1 corporation opened their operation in North America Cory was asked to participate as their rules director and chief official. He developed an officials’ certification program for both judges and referees and helped institute changes in procedures that are used today, both here in America and on the K-1 world tour. 2005 marked the launch of the World Combat League. This project combines the excitement of a martial arts combat sport with a unique team and league presentation format. It is the embodiment of a vision created and nurtured for over thirty years by the worlds’ top martial arts media icon; Chuck Norris. Cory Schafer was selected by Mr. Norris to be the WCL Commissioner, supervising the regulation of the sport and consulting on all aspects of league operation. Mr. Schafer is also the Rules Director for STRIKEFORCE MMA who made history with its’ “Shamrock vs. Gracie” event, the first sanctioned mixed martial arts fight card in California state history. STRIKEFORCE currently airs MMA programming on NBC and SHOWTIME premium television network. 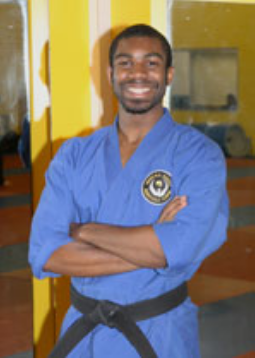 Despite his extensive international involvement in the regulation of competitive martial arts and combat sports Cory, now a fourth degree black belt still teaches regularly and supervises the instructional staff at the World Martial Arts Center. 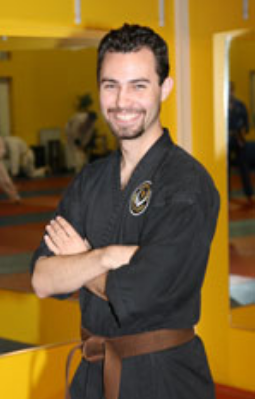 Cory Schafer earned his black belt in Wado-Ryu Karate in 1982. While successfully establishing himself as a martial arts competitor and kickboxing trainer his interests moved towards officiating. 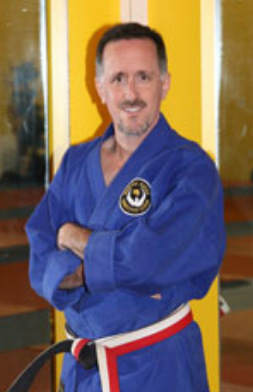 During his tenure as the chief official and arbitrator for the FAME (Florida Affiliated Martial Arts Events) tournament circuit, he began working his way through the certification levels as a kickboxing official. Sensei Lisa Greco began training in Wado Ryu Karate in January, 2003, while she was a student at the University of Florida. She continued her training and worked her way up the ranks while completing two college degrees. Amazing Karate school full of amazing people! My son has been practicing martial arts in this dojo for 2 years now, and it has been the best decision we have ever made. We appreciate all the hard work the instructors put in for the kids. Thank you!!! In an effort to help each student achieve consistent attendance and progress at an individualized pace our program features a very flexible schedule. Each child may attend as often as they’d like and any combination of classes offered for their age and rank level (one class per day please). You are not locked into a fixed schedule. Each week you may select the number of classes and times that suit your needs. This program features separate but simultaneous classes for parents and children, because the family that KICKS together STICKS together! 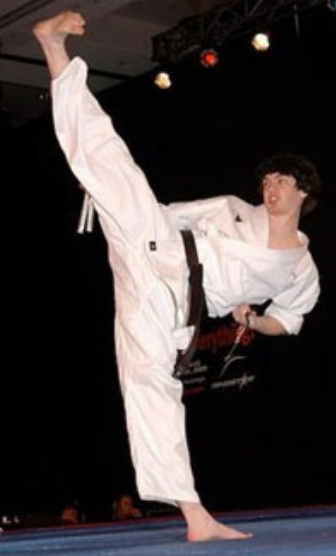 We offer adult programs in Wado Ryu Karate. Our program features unlimited attendance and individualized progress. Claim your free trial program today! Some of the answers to the most common questions. Does martial arts make kids violent? No way! Martial arts is about peace, harmony and diplomacy. It teaches children how to AVOID fights – not pick them. 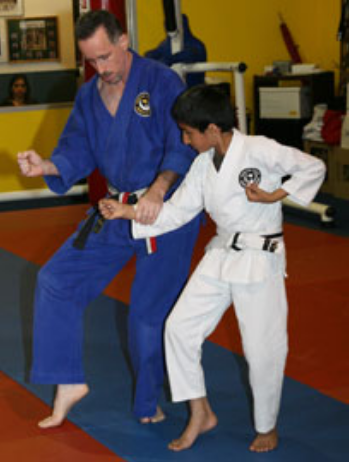 Can my child get injured with martial arts? As a parent, I’m sure you’ve seen that kids can get injured doing just about anything. Martial arts is no different, however we take safety very seriously here. Yes, injuries do sometimes happen. But we do everything in our power to avoid them. We do special exercises and stretches to make your child’s body limber and flexible. And we’re ALWAYS keeping a very close eye on everything going on. My child isn't athletic. Can he/she still participate in martial arts? Is martial arts fun for children? Absolutely! 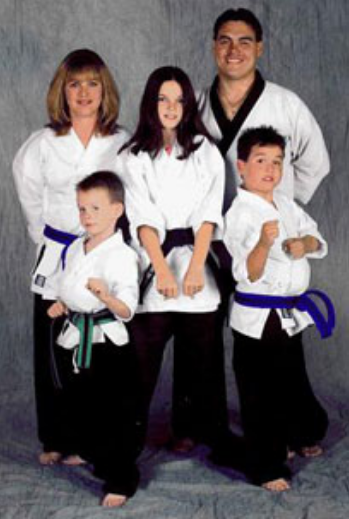 In fact, kids usually have to drag their parents to martial arts class – something parents are always shocked to see. We have our serious moments here where kids work and learn… but we have just as many moments where they goof off and have a blast! 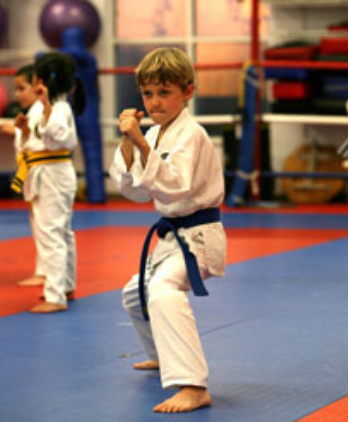 Do children's confidence & self-esteem grow with martial arts? What's a good age for a child to start martial arts? Honestly, practically every age is a good age to start! We have children as young as 3 years old, as well as teenagers. We also have specific programs for adults. So no matter where you or your child is on the age spectrum – we’ve got you covered. 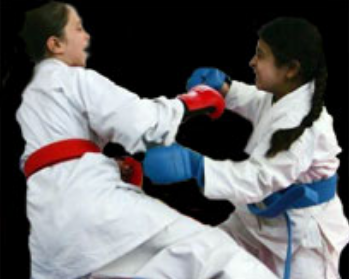 Do boys AND girls take martial arts?